I willing to bet it’s much bigger than we currently know. When are people going to learn that the chickens always come home to roost? Nothing this scandalous could ever be covered up forever even by the dishonest MSM, crooked leftists, or by the swamp at the FBI. The fact that the memo has NOT been released yet leads me to wonder how many members of the GOP are involved in treason. Senator Ron Johnson (R-WI) spoke with Bill Hemmer on America’s Newsroom on Wednesday morning. Johnson continued to speak to reporters about the FBI sleeper cell against President Donald Trump. Senator Johnson said “there is an indication” that there was “a number of high-level FBI officials holding offsite meetings” on how to bring down President Trump. Senator Johnson went on to say he would not speak out about his source or sources. Johnson sits on the Records Committee and speaks with government whistleblowers. Read more at TGP. 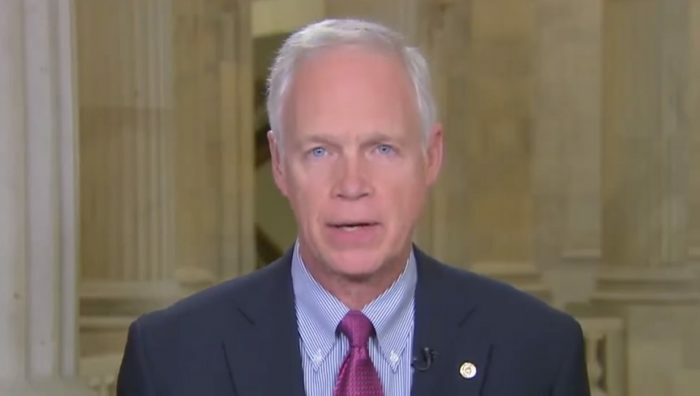 Senator Johnson: I think there’s indications there was a number of high level FBI official holding secret meetings offsite. Bill Hemmer: Is that half a dozen? Senator Johnson: Again I can’t really put a number on it right now. More than just Strzok and Page. But understand Strzok and Page were very high level within the FBI. Our government officials are afraid of losing their hold on the country. That’s what all these corrupt people care about. They think they know best and voters should be kept in dark. Was Obama/Jarrett home the meeting place? Wonder if they’ve been watching that house. Oh wait they’re all still calling the shots. Wray is them! Just come out and say it, they were treasonous, charge them all.